Children in the Infant Room are between 6 weeks and 16 months. Our child-teacher ratio is one teacher for every three/four infants. No shortage of snuggles here! We hold, love, rock and nurture. We get on the floor and interact on their level. We encourage sitting, crawling, vocalizing, talking, walking and much, much fun. We like to laugh, smile, sing and get goofy. Your child’s individual schedule will be honored. He’ll eat when he’s hungry, sleep when he’s tired, play and play and play some more. She’ll do art, deliberately explore textures and smells and get lots of love and encouragement along the way. Seasonal Here We Grow! curriculum with Ms. Jill: hands on nutrition and garden activities led by our on site Food and Nutrition Director. 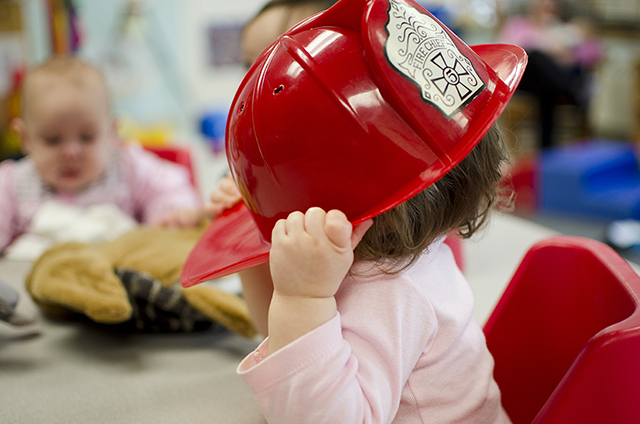 Our infant room encourages your child's natural curiosity about the world. 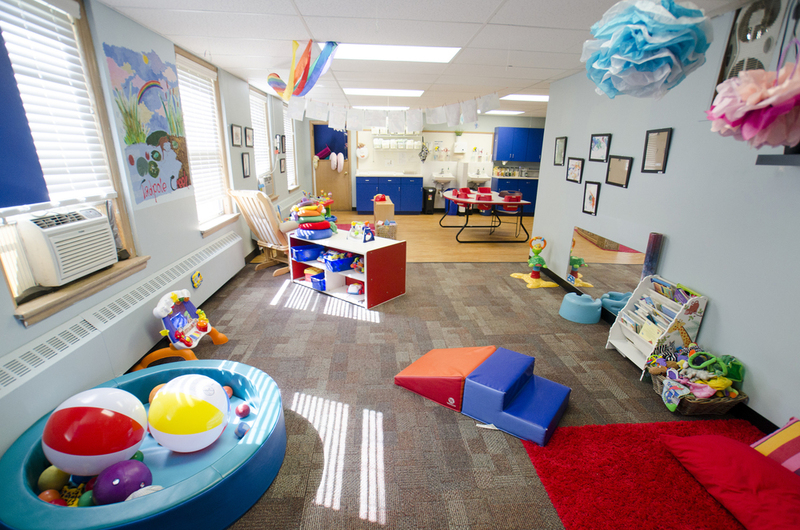 The infant room includes distinct areas for eating, exploring and sleeping.